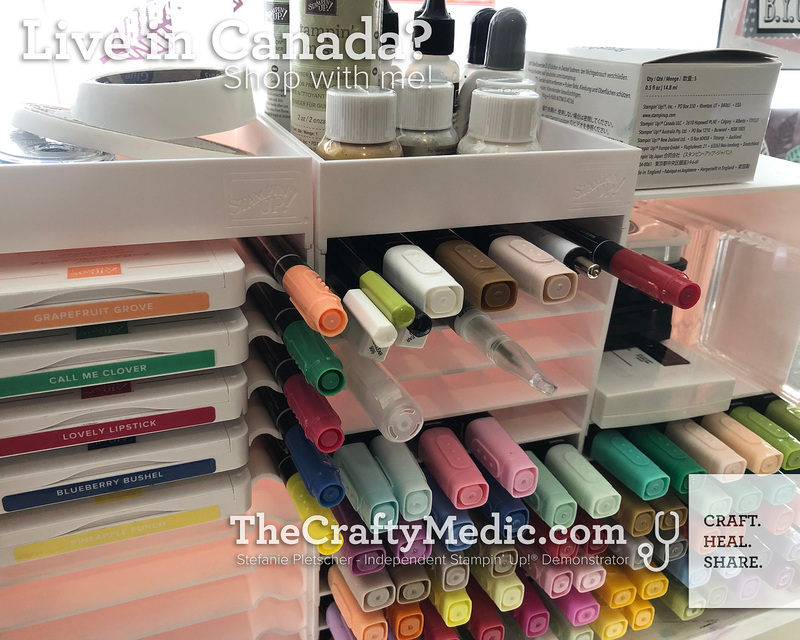 The Crafty Medic: Storage by Stampin' Up! Just in case you missed my live unboxing, I've uploaded it here for you to watch as well! 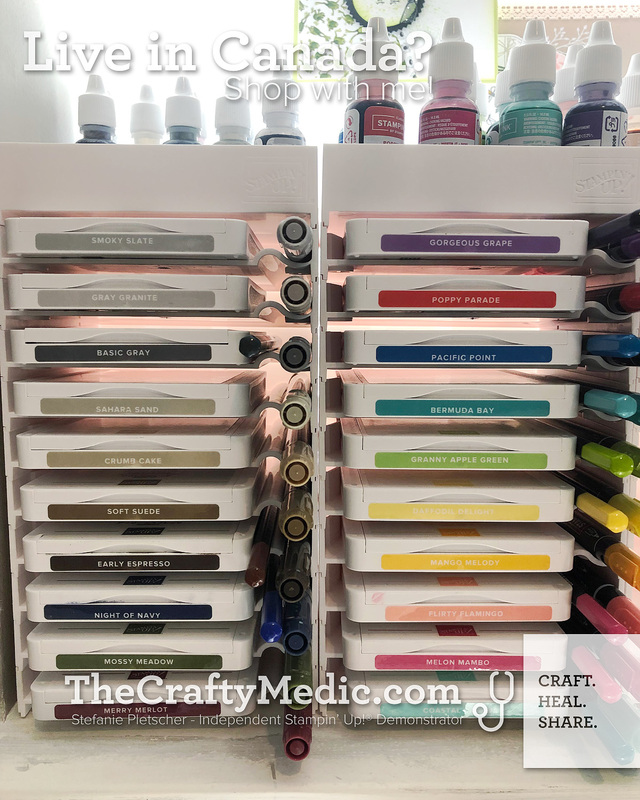 I LOVE these Storage by Stampin' Up! pieces, they're so easy to set up, and switch around when needed. Take a look at some of the details below as well. Here's a closer look at how I've set mine up. First off, so many things fit in the blends holders! I fit my spritzers, Wink of Stella, Take Your Pick tool, and all manner of writing and colouring implements in there. Each of my "color family towers" has the ink pad, Stampin' Write marker, and watercolor pencils for those colors, as well as the reinkers on top! If you'd like to get your own system, you can plan it using this worksheet, and then place your orders by clicking on the individual products below to go to my store!